"You Don&apos;t Know " him but you really do. He&apos;s the man behind the lyrics on a lot of your favorite songs. 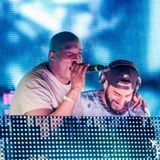 From his first track, #1 hit with Armand Van Helden, "You Don&apos;t Know Me" and Powerhouse "What You Need" to Bob Sinclar&apos;s chart topping hits "Love Generation", "Sound of Freedom" and "New New New" to Erick Morillo&apos;s "Believe", "Life Your Life", & "Stronger" and even pop sensation Sean Kingston&apos;s "Party All Night (Sleep All Day”). Pete Tong & Craig David just release a cover of “You Don’t Know Me” on Universal with music provided by the Heritage Orchestra conducted by Jules Buckley. And his latest release Purple Disco Machine feat Joe Killington & Duane Harden “Devil In Me” on Sony has been dominating the airwaves in 5 counties so far. When he’s not traveling the World performing, you can catch him every week on his Duane Harden Voces Radio Show.